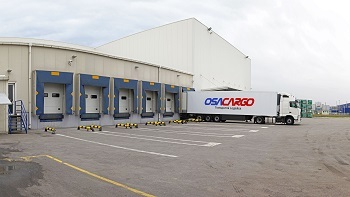 Logistics company in Czech Republic - OsaCargo - Reliable and Flexible. Reliable transport and logistics services in Czech Republic – OsaCargo – just one click away. Excellent customer service and predictable prices. Logistics solutions all around Czech Republic and Europe. Looking for a logistics company in Czech Republic? Look no further, because, you just found a TOP logistics services in Czech Republic – OsaCargo. OsaCargo is a transport and logistics company providing it’s services all around Czech Republic. With our head office in Riga, we can provide transportation services to or from any part of Czech Republic. And of course transportation services to any country in Europe from Czech Republic. Full and part truck loads. All OsaCargo routes to and from Czech Republic.